EPD is an established recycle plastic manufacturer and a consultant for polythene waste , which have involved in the collection of polythene waste for more than a ten years. EPD continues to be an acknowledged waste strategy provider for both domestic industry as well as foreign companies due to the fact that there is consistent improvement in our products and provides efficient services required in the recycling plastic industries. As one of the best polythene waste manufacturers, EPD makes sure that we build the best machines to improve development and manufacturing. We have been explored to improve the company's manufacturing efficiency with utmost consideration to environmental laws and conservation efforts. In simple terms, we are speciaizes in reproccessed PE Granules, recycled PE Pellets, LLDPE recycle Pellet and other recycle plastic waste. Plastic recycling is an important element of any recycling efforts. As one of the Malaysia' leading manufacturer of plastic recycling products, we offer best quality of recycle plastic bottles and recycle plastic bags. Our main activities are manufacturing and recycling of plastic materials. 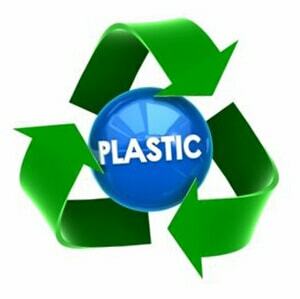 Plastic recycling involves a series of process of treating and reprocessing the used plastic into a new useable form. The most common type of plastic is plastic bottles and plastic bags, used for packaging and storing mineral water or soft drinks. This bags and bottle cannot be re-used or refilled. As such, the best way to use back his plastic is through recycling. EPD Plastic manufactures and supplies a wide variety of reprocessed PE granules for various industries. PE granules are used in many different forms, and is an integral component to many industries in Malaysia. As one of the leading reprocessed PE granule company in Malaysia, we practise a stringent process to help recycle and reprocess PE granules in the market. PE granules are very versatile, and it is a great thermoplastic commodity extensively utilized in consumer products, as well as products in the food industry. EPD aims to be recognized as a waste strategy provider for both Malaysia and International markets. We make sure that our reprocessing machines are to help improve and manufacture high quality PE granules, while efficiently give back to a cleaner environment. .
EPD Plastic manufactures a wide variety of recycled PE pellet and LLDPE recycle pellet in Malaysia. Here at EPD Plastic, we house a large selection of quality PE pellets for filling, stuffing and other industrial usages. We stock many different variants which include LLDPE, HDPE, PP and many more. Our recycled PE pellet are stained with different colours, and can also be stained by custom colour shades depending on use. EPD aims to be recognized as a waste strategy provider for both Malaysia and International markets. We make sure that our reprocessing machines are to help improve and manufacture high quality recycled PE pellet, while efficiently give back to a cleaner environment.